A home is the single largest purchase most people will ever make and thus needs to be done only after you have saved and prepared. Saving for a down payment and purchasing can be made easier, and costs can be lowered, with proper preparation. How much money do you need to save to buy a house? A general rule of thumb is 10-20% should be put down for a down payment on a home. Twenty percent is usually the magic number that opens a lot of doors. While it is possible to go with lower down payments, particularly with HUD and other government programs, it generally is not a good idea. Mortgaging a high percent of the house will mean a lot more paid in interest over the life of the loan and brings with it a much greater chance of falling into negative equity. There is also the likelihood the bank will require private mortgage insurance (PMI) as added protection. This will add about .5% to the cost of the loan annually. While this may not sound like much, it is significant for with the amount of money involved in home loans. For example, PMI for a $200,000 mortgage will cost $1,000 annually. Down payment: Amount of the home cost paid on settlement. Earnest money: The deposit submitted when the initial offer is made to indicate to the seller the buyer is interested (later applied to the down payment). 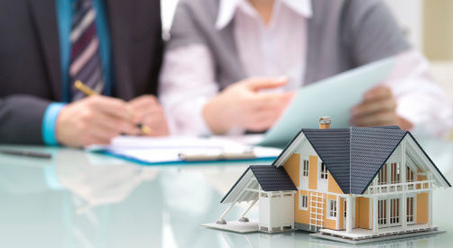 Closing costs: Costs associated with processing the paperwork for buying a house. Type of home: Most people want a bigger and more luxurious home, but this can get buyers into trouble. Consider the total costs of the home and the hours you will have to work to cover those costs. Having a needlessly expensive home does not make sense if you have to spend all your time working for it, so it is important to set realistic goals. Rent or buy: Contrary to popular belief, buying a home is not always the best move. If you may be moving soon, or if the total cost of owning a home (taxes, etc. included) is 35% or greater than renting, it may be a better financial decision to continue renting. A purchase as large as a home requires planning, setting a milestone and sacrifice. With a goal, those sacrifices are easier. Look at the market and get a type of home in mind that is practical and achievable. After deciding on a goal, put up images or some other reminders of what is being saved for. Use it as a reminder when considering purchases that might not be necessary. Get the whole family involved and working towards the goal. Let’s face it, people like acquiring things. Direct that energy towards acquiring a home, and remember than a home still is generally a very good investment over time with equity, tax and other advantages. Learning how to budget your money is about having the right strategies and taking some common sense steps such as cutting out luxuries. Look for tips on household budgeting . To control spending, many people find it necessary to keep budgets to build awareness of where they are spending and find the ways to live on less. 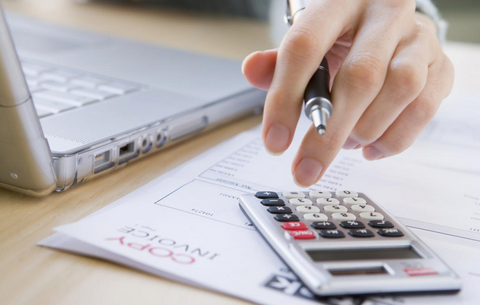 Be it online budgeting or some other type of budgeting, find the method that works best for you. It will basically involve tracking all spending and income, seeing where the money is going and finding areas to cut expenses. Since rent takes up such a big chunk of income, the best sacrifice you can make for a new home, if at all possible, is to move in with relatives or take roommates. Before getting serious about saving, it is important to first pay off credit card debt and any other debt you might have. More money can then be devoted to saving, instead of being lost to interest payments. In addition, it will make getting a home loan easier and cheaper when the time comes. Never underestimate the positive compounding effects of saving early and often. To make this easier, it is a good idea to follow the principle of paying yourself first. Imagine that you had a 10% pay cut at work. What would you do to get by? Then, set up a special account (look around for the highest interest savings accounts possible) and have that 10% (or whatever is practical) sent to that account every month directly from your pay. You have paid yourself first and will not miss what you never held so much. For those who can do it, devoting more time to a second job will leave less time for discretionary spending and more money for saving. If the money can be paid back in time without incurring extra fees or other problems, many retirement plans, to include 401ks and IRAs, offer provisions that allow borrowing against them to buy a home in some situations. There is also the option of asking relatives for loans. In the US, there are the VA, FHA and state housing authorities that can sometimes help and various services in other countries. Anyone considering buying a home should always keep an eye on the housing markets to stay informed on what they will be paying. When the time comes to buy, you will have the information to make a better decision. Nevertheless, it is still a good idea to take all precautions to include hiring a home inspector. Before applying for a loan, get a copy of your credit report and make sure there are no mistakes. Most expert also recommend getting pre-approval (basically, setting down with a loan officer and making sure you will qualify for the size of a loan you have in mind) for the loan. With early planning and the right goals, the process of saving for a down payment and buying a home can become a lot easier, less costly as well as more efficient.